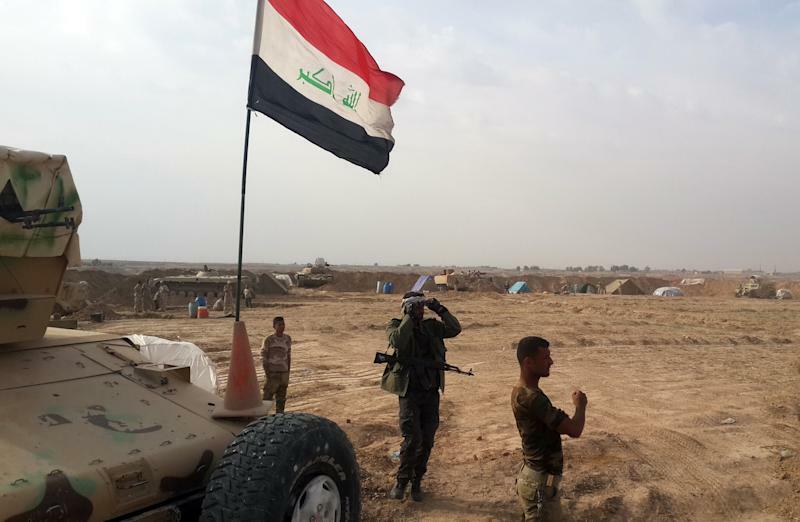 Kirkuk (Iraq) (AFP) - The Iraqi army's next target is to isolate militants holding the city of Tikrit, after having broken the Islamic State group's hold on Baiji and its refinery, a senior officer said Monday. "Over the next three days, we will work on reinforcing our capacity because we are planning to clear areas on three sides of Tikrit," an army brigadier general said. Tikrit, the hometown of executed former president Saddam Hussein, is the second largest Iraqi city under IS control. The town of Baiji lies north of Tikrit along the Tigris River and the brigadier general said Iraqi forces would also close in on the key city from Samarra to the south and from eastern regions. Under the government of former prime minister Nuri al-Maliki, government forces tried, and failed, multiple times to retake Tikrit. The government of Prime Minister Haidar al-Abadi scored one of its most significant victories last week when its forces recaptured Baiji. It is the largest town to have been retaken since the federal government lost swathes of the country to a jihadist-led offensive that began in June. Iraqi forces also broke a months-long siege on the nearby Baiji oil refinery, the country's largest, and joined up with elite troops who had been holding off IS onslaughts for months. The US central command issued a statement Monday saying that five of the 20 air strikes carried out by the US-led coalition over the past three days were in the Baiji area. "They struck two tactical ISIL units and one large ISIL unit and destroyed one ISIL tank, one ISIL vehicle, and four ISIL fighting positions," it said, using another acronym for IS. The brigadier general in the Salaheddin operations command said the army was now fully in control of Baiji. "It's firmly in our grip but it doesn't mean that IS will not carry out attacks here and there," he said. Other security sources said some IS fighters remained in the vicinity of the refinery.